Olympic swimming champion Maarten van der Weijden was last year’s Movember ambassador. His successor for this year is Joost Reijns, who missed the Olympics because of testicular cancer. We spoke to him about his experience with testicular cancer and his role as ambassador for Movember and the MoRun. “I’ve never been superstitious, but in 2012 on Friday the 13th I was diagnosed with testicular cancer. Cancer was a concept to me that was equal to being sick, throwing up, going bald and perhaps dying. What I felt was the toughest of all, was that my brother thought I would die. I couldn’t answer that, and it really hurt me,” says Joost. During the European Championships Short Distance in the Polish city of Szczecin, Joost reached the fifth place for the 200m freestyle. He was randomly selected to participate in a doping control test, which in his case showed abnormal values. “With a smile I went to this doping control. Just a routine thing, I thought. This shouldn’t take too long. But a month later, I find out this is a lot more serious than I had expected. It’s a week day in Amsterdam, January 12th 2012 at 7.30pm. The phone rings. It’s our team doctor Reinier de Groot with bad news from the European swimming association LEN. The first thing that crosses your mind is ‘someone spiked my food or drinks!’ It appeared to be the Beta HCG hormone, which shows the use of a growth hormone, or traces of a tumor in your body. Then I knew for sure: it’s my left testicle, it couldn’t be anything else”. How come you were so sure? “I had visited the doctor before, because I felt something in my left testicle. The GP didn’t find anything, but gave me antibiotics to kill the pain. The testicle kept growing, and even though the pain decreased, I kept on thinking that something was wrong”. When testicular cancer was confirmed, a successful operation followed and the testicle was removed. However, the lymph nodes showed metastases. “The removed testicle had a tumor of 3.5 centimeters. An embryonal tumor that had been there since my birth. A few hundred thousand boys carry this. Just six hundred to one thousand men develop a tumor because of this every year”. Chemotherapy followed for twelve weeks, divided into four cycles. Infusion therapy was provided for the first five days, followed by five to six hours per day of chemo, then regular infusion therapy to clear the body with liquids. The therapy seemed to be effective, as the values of the tumor markers dropped soon afterwards, but unfortunately a CT-scan showed that the metastasis had not disappeared and a second operation would be needed. Joost missed the Olympics because of his disease. 2012 should have been the icing on the cake for his career in professional sports, with the London Olympics as a highlight. Things turned out differently though. “I had to regain my health, before I could go after my dreams again”. Now his career is again moving ahead. “At the start you’re really happy with every meter you make. The first games followed and every time I moved faster. I seemed like I had found my old self again. When I got closer to my old records, and I made it to Dutch Championships just six months after I had received the declaration of good health, the expectations increased. It was hard to keep calm. My successes did come. At the European Championship in 2014 we reached the 5th place in Europe with the 4x200m freestyle, and a new Dutch record to celebrate it. My enthusiasm derives from the pleasure I find in what I do. I’m privileged to represent the Netherlands. I would have liked to have been able to represent my country at the Olympics of 2016”. You mentioned that testicular cancer was discovered after a doping control test; a relatively simple urine sample check. If this is so easy, why is this not available for everyone do you think? “I think this takes a lot of time, and will therefore cost a lot of money. It’s quite something when you have to periodically check urine samples of every young man in the country. But you can do a lot by yourself. When you feel something, see a doctor. And if you don’t like the answer you get, discuss this with your doctor and explain why you think something is wrong”. You said you expected to become very sick. Were you not? “What I meant was that I didn’t have to throw up. I did go bald, and I did feel sick. But because of a fully customised treatment, everything turned out to be a lot more tolerable than expected. This is also because I discovered it early. I have seen patients who felt a lot worse than me”. Did your background in professional sports contribute to your recovery, do you think? “Even I lost a lot of my strength while being sick. I’ve been tired like never before. But because of my background, my stamina was a lot better, so yes, that did help. I couldn’t say that people who do a lot of sports are less likely to get this disease though”. This year you are the Movember ambassador. Why is this so important to you? “I was made aware of the fact that what happened to me, and what I like to do (professional swimming), can help others towards their recovery. While I was sick, I was called a hero quite often. But what did I do? I lay down on the bed, and let the doctors do their work. I went through the treatment successfully, and thanks to the oncological knowledge of today, I received customised treatment. To offer such a treatment, we need research. Those who help finance that research, in whatever way possible, are my heroes”. “Everyone knows someone in his or her surroundings who has suffered from cancer. That’s why fighting this disease together is so special. One in two men, and one in three women will get cancer. So let’s make sure this becomes a chronic disease, and that everyone will get customised treatment”. How do you see your role as ambassador for Movember? What is your goal? “I find it important to give something back to the people who make testicular cancer research possible, in whatever way I can. I want to generate awareness, and make education possible. If I can make a contribution to better research – a test for everyone as we discussed – then that would be great”. You are not only a Movember ambassador, but also a MoRun ambassador. In which way do you think this running event can make a positive contribution? 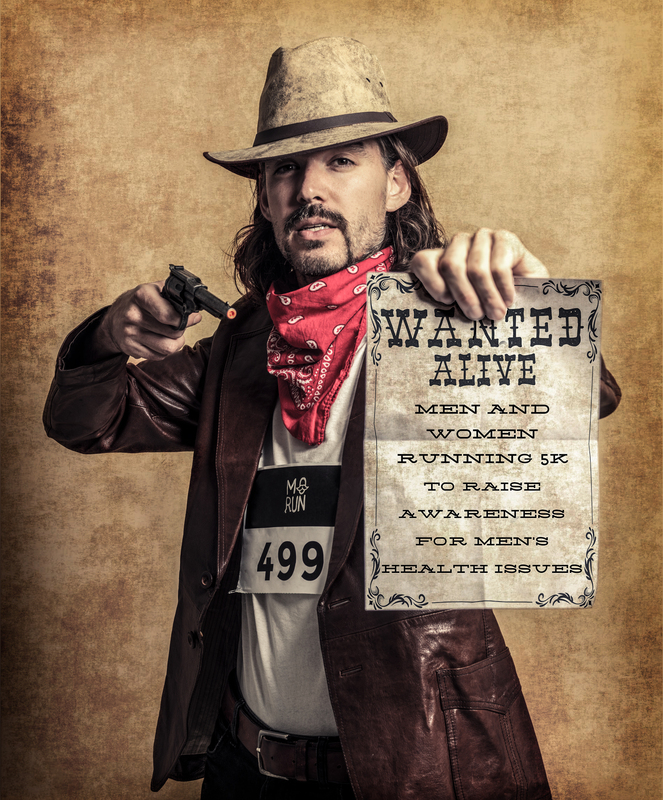 “The Movember Run makes a very serious topic easy to discuss in a fun environment. We take cancer very seriously, but by discussing it in a fun setting, people will find it easier to motivate themselves. You do a great job at that, by literally turning your run into a circus”. Why do you think that events like the Movember Run Amsterdam are so important for Movember’s success? “It moves people and enables you to speak about serious matters in a fun setting. That suits Movember, and therefore your run will make a valuable contribution to Movember’s cause”.